Endurance racing: The test of driver, machine, and time. 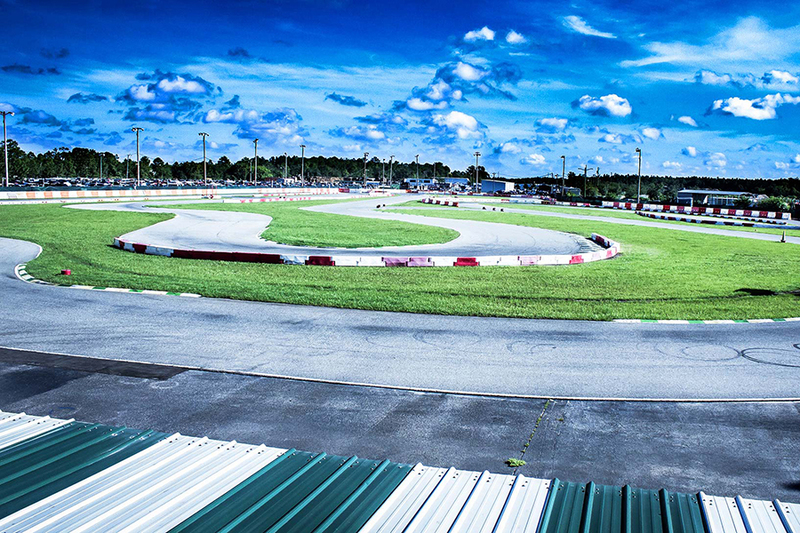 In conjunction with PMG Promotions and Orlando Kart Center, USAC Karting is excited to announce the first 24 Hours of Orlando on March 29-31, 2019. This exciting and unique event will see teams of two to five drivers competing twice around the clock in Briggs and Stratton Racing 206 powered karts. All team entries will include fuel, tires, and a new Briggs and Stratton 206 engine that the teams will be allowed to take home at the end of the event. Teams will have two options for entering a kart: Teams may hire a new Tony Kart prepared by OTK with the option to purchase or teams may also enter their own chassis with all karts utilizing CIK styled bodywork. 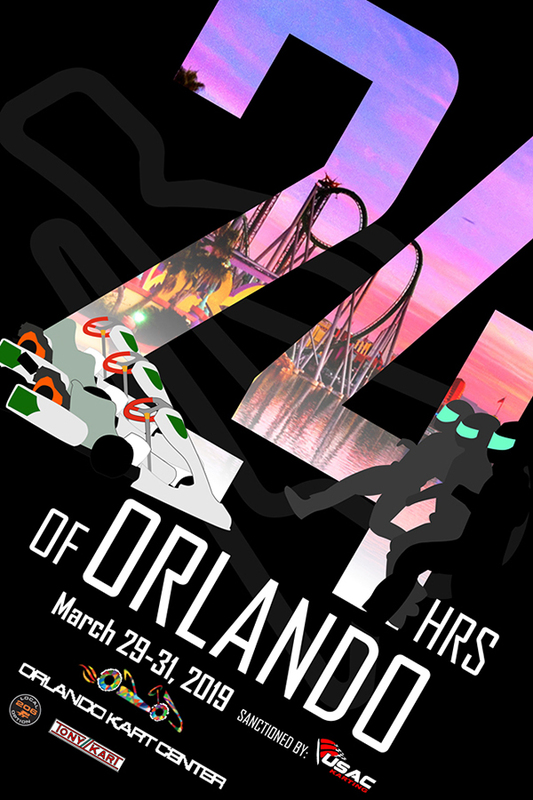 The event schedule will be simple and condensed in trying to cut down on unnecessary travel time for the teams that are competing in the 24 Hours of Orlando. Teams will not be allowed to start setting up their garages until 3pm on Friday afternoon as there will be no track time on Friday. Saturday will see a flurry of activity as there will be a two hour open practice, followed by a twenty minute qualifying session leading up to the start of pre-race opening ceremonies. The 24 Hours of Orlando will start at 3pm with a traditional Le Mans styled standing start. The teams will be split into two classes: Pro and Masters. Both classes will have the same weight and driving time rules. Masters must have a team whose average age is over 40 years of age. Drivers can compete in both classes but must be registered to the kart prior to the start of the event. All teams will be made up of 2-5 drivers with a maximum delta of 2 hours of driving time between the most and least driven on your team. All normal pit stops will feature a cold pit lane and have a 4 minute minimum time limit from the time that the kart enters the pits to the time that driver restarts and leaves pit exit. The teams will be allowed to do a full service pit stop including tires, maintenance, weights, and driver changes. All refueling will be handled by OKC to minimize the risk incidents. In monitoring all on-track and pit lane timing and scoring will be led by TJ Halsema of MYLAPS and the event will be utilizing the X2 Driver ID system to track the current driver along with drive times. Online registration is now open with Track Rabbit at https://orlando24.trackrabbit.com. 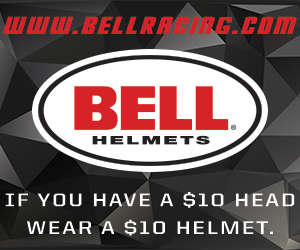 Entries can be reserved with a $600 deposit but must be paid in full by February 15. The Tony Kart hire must be ordered by January 31st , after that date only teams bringing entering their own kart will be allowed to enter. There is a $300 discount for teams entering by November 20. Teams must have their driver roster and sponsors submitted by February 5th to be included on the broadcast, mobile app, and pit boards. The full event rules are planned to be announced soon!